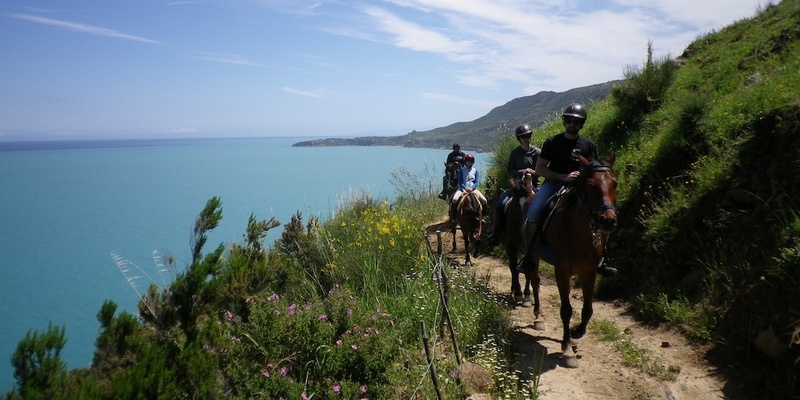 Is there really a better way to discover the outskirts of Cefalu, and see all the sights that you normally would not, then to blaze the trails on horseback? Sicily Horse Tours gives you the experience of a lifetime, by taking you on a tour of Cefalu while on the back of a horse. Not only will you experience nothing but the best scenic routes that you could ever see, but you will also get a real taste of what Sicilian hospitality is actually like, and is a total of eight days. Each meal, along with coffee, is prepared right before your eyes by your guides, that have a superb level of attention when it comes to any and all issues that may arise, so you are in great hands. The trail itself is extremely organized and thorough, as the guides have knowledge of the overall areas that go above and beyond anyone’s standards. While on the trails you might just even spot wild pigs, wild horses, wild goats and all sorts of farm animals throughout the trails and on local farmlands. You can also go through vineyards, as well. One of the trails that you are able to take part in is the coast to coast trail, which goes from the north of Sicily all the way to the south. You do not have to book for the eight-day trip, however, you can book it by an hour as well. The majority of travellers either do the eight-day trip altogether, or they usually do two hours, but that is up to you.